The 2018 $0 down, VA home loan limit for Brunswick County is $453,100. Located on the beautiful North Carolina Coast, Brunswick County offers a beautiful landscape, great for those looking to relax and enjoy life. There are several islands located in Brunswick County that provide a nice secluded area to fish, camp, or swim. The county was officially created in 1764 from portions of Bladen and New Hanover Counties. Brunswick encompasses a total area of 1,050 square miles, 547 miles of which is land, and 203 miles of which is water, making it one of the best places in North Carolina for aquatic activities. You will never be bored in Brunswick County thanks to the many attractions, restaurants, and shopping areas. The total population is 118,836, including a veteran population of 13,400. If you love the beach, then there are few better places than Brunswick County. Bring your family and friends to the coast for a nice day outside or to enjoy the beautiful sunrise. Lay out a blanket on the white sand beaches and just relax. If you live in Brunswick County, you can enjoy the beach every day! There are four beaches in Brunswick County: Ocean Isle Beach, Sunset Beach, Long Beach, and Yaupon Beach. For some of the best fishing, sailing, and swimming opportunities, visit the North Carolina Coast. The islands of Brunswick County are popular locations for visiting and living. Bald Head Island is located just off the coast and is visited by tourists from all over the country. Be sure to see the lighthouses on Bald Head Island for a true view into history. Many interesting species of animals make their home in Bald Head Island, including sea turtles, osprey, bald eagle, and many more. Bird Island borders North Carolina and South Carolina. Bird Island is named for is the vast amount of bird species inhabiting it. There are a multitude of attractions in Brunswick County that are sure to interest anyone. The Alabama Theatre provides musical acts, plays, dance parties, and more! The Alabama Theatre was voted the Best Live Entertainment Theatre in Myrtle Beach. For educational fun be sure to visit the Ingram Planetarium or the Museum of Coastal Carolina. Other attractions in Brunswick County include Silver Coast Winery, Planet Fun, Big M Casino, and many more! There also many golf resorts in Brunswick County. Fishing is very popular in Brunswick County thanks to the many areas with plenty of fish. The Calabash Fishing Fleet provides deep-sea fishing adventures! You will be taken out on the Calabash boat and given the opportunity to fish in the Atlantic Ocean. Calabash Fishing Fleet also offers dolphin tours. Other areas for fishing in Brunswick County include Hurricane Fleet and Ocean Isle Fishing Center. The Brunswick County Outreach VA Clinic, Wilmington VA Health Care Center, and several other veteran resources are located in Brunswick County. Property tax relief, disability compensation, and health care are just a few of the benefits offered to veterans living in North Carolina. Apply for a VA loan with VA Home Loan Centers for the lowest interest rates and the lowest monthly payments. 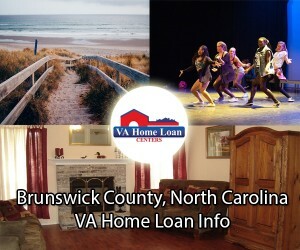 For help finding a VA-approved home or condo in Brunswick County, call VA Home Loan Centers at 888-573-4496. If you do not see the condo you are interested in, then click here. VA Home Loan Centers can help you obtain condo approval on almost any condo.